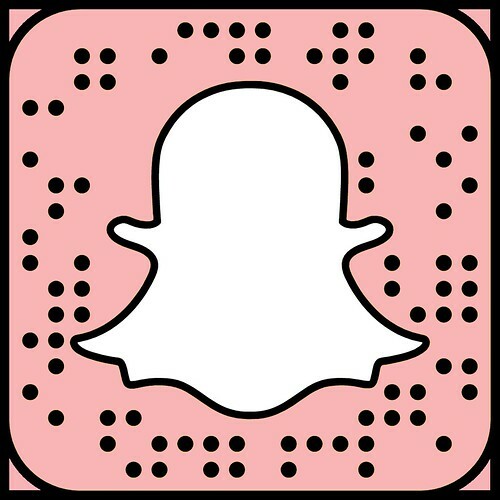 I was so blown away by how amazingly generous the Mecca birthday gift I received last month was. It included two full sized products: the Mecca Cosmetica Lit From Within Illuminating Primer 45mL ($38) and the Mecca Cosmetica All Set Makeup Perfecting Mist 45mL ($35). That is a free gift worth $73, all wrapped up in a beautiful gift box! I have been diligently testing these new goodies and I have to say, I've been really impressed. This is the absolutely gorgeous gift box it came in. 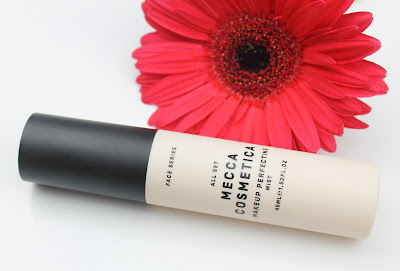 I absolutely loved the birthday gift last year, which a full sized tube of the Mecca To Save Face Superscreen SPF 50+ ($40) that I absolutely loved and have already repurchased. I didn't think they could top the generosity of that gift but they sure did! This primer is beyond perfect for my dry skin. I am always looking for one that smooths my skin, hydrates, illuminates and generally makes my foundation easier to apply. 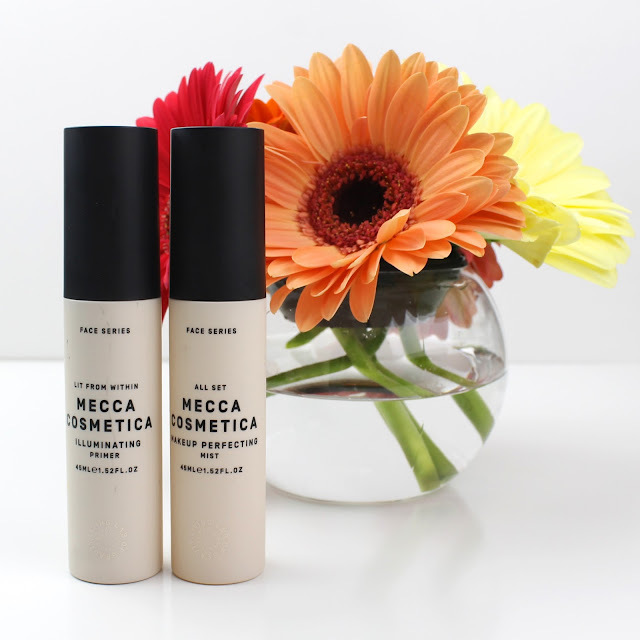 It has a light, fresh scent and really helps to even out skin texture thanks to the dimethicone. It definitely doesn't feel like one of those heavier pore filling primers though. It actually reminds me a lot of the L'Oreal Lumi Magique Pure Light Primer ($29.95 for 20mL) which actually works out more expensive at full price per mL. The Mecca Cosmetica primer also has a pale gold shimmer, rather than the white pearl of the L'Oreal Lumi Magique, which I think I prefer even though the L'Oreal one used to be my favourite. I will definitely be repurchasing because it is one of the best primers I've ever used and actually pretty affordable considering it is a larger than normal 45mL. I have always thought that makeup mists are made or broken by the quality of the spray nozzle and this one is BOMB! Seriously, it is easily the best and finest mister I've ever used and I've tried Skindinavia and Urban Decay setting sprays, which are the gold standard. I was so surprised by how good it is and it hasn't left a visible droplet on my face in the two weeks I've been using it. The actual product is amazing too. It doesn't necessarily extend wear that I have noticed, but it definitely helps to blend products on the face, take away any powdery look and give a gorgeous dewy look. I absolutely love it! I will probably repurchase it or, if I am on a tight budget, at the very least refill the bottle with my other favourite Maybelline Master Fix by Face Studio Setting Spray ($15.95) because the mist nozzle is amazing! So there you have my thoughts on the Mecca Cosmetica primer and setting spray. I would wholeheartedly recommend both, especially if you have normal to dry skin. They are also really well priced in my opinion too because they are truly top quality. I definitely need to try more products from the range because everything I've tried so far has been great. Disclaimer: I received these as Beauty Loop loyalty program gifts, not as PR gifts. As always, my opinions are my own. 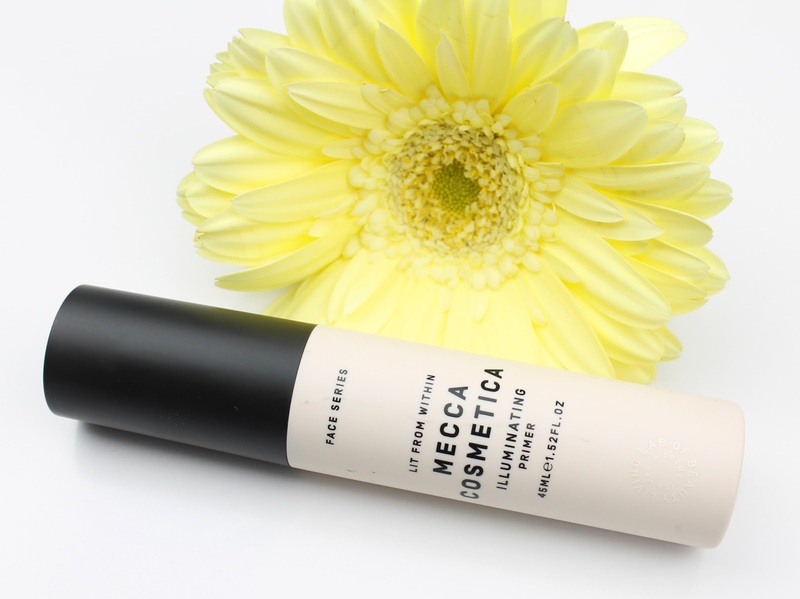 15 comments on "Mecca Cosmetica Illuminating Primer & Makeup Perfecting Mist"
I've tried the illuminating primer before and I loved it! Gives the skin a beautiful finish and isn't too disco ball. 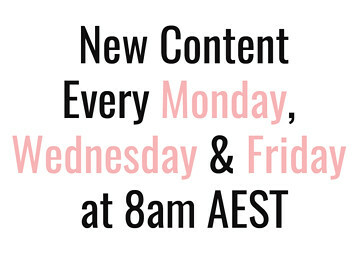 You should definitely take a look at the Mecca Cosmetica range. They seem to have one to suit every skin type and need. What an amazing Birthday gift, well done Mecca! The Perfecting Mist sounds great and I love the idea of reusing the bottle! It is good to be thrifty and creative. I actually like the Maybelline setting spray a lot but the cheap nozzle lets it down. I'm interested in the mist! and wow that's great gifts! Let me know how it goes if you do try it out. 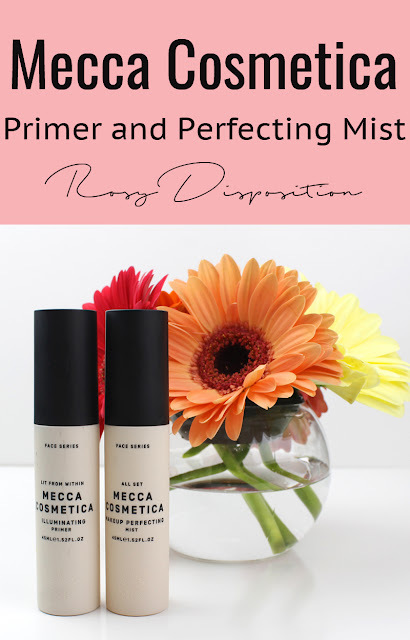 I have not tried anything from Mecca yet, these products have so beautiful packaging and i love the sound of Makeup perfecting mist, will check it out. I love the minimal clean look of their packaging too. It is understated but perfect. Wow, what an amazing birthday gift! I haven't tried either of those products, although I have looked at the primers in store before. I'll have to go & give them a proper test next time I'm in Mecca methinks.